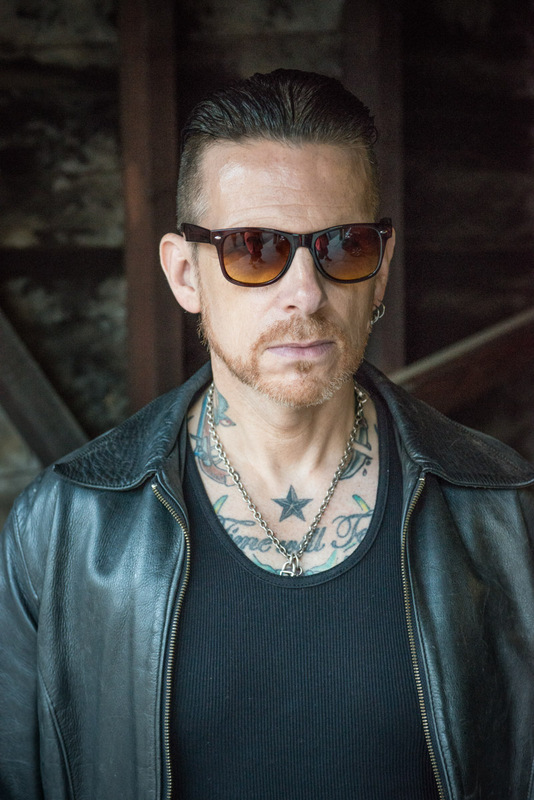 Ricky Warwick is a Northern Irish musician and songwriter, and the lead singer with Black Star Riders and Thin Lizzy. He was also the frontman for the Scottish hard rock band The Almighty, with whom he achieved chart success in the UK throughout the 1990s. Warwick has released several solo albums and performed with a variety of other bands and artists, and also fronts his own band, The Fighting Hearts, to showcase his solo material. I caught a brief chat with Ricky on the final date of the Stiff Little Fingers UK tour where his band was supporting. Last day on the tour with The Fighting Hearts. We’re familiar obviously with Robbie Crane, just wondered if you could give me a little background information regarding the other members of The Fighting Hearts band? Yep, Gary Sullivan, a Dubliner. I have known Gary since about 1996. Gary was a drummer in the band Sic I had, after the Almighty stopped. I go way back with Gary. He moved, when Sic finished, to LA, about 1998. Obviously I live there, we’ve been friends ever since. The great thing about doing this, I can sort of pick who I wanted, and I’ve always wanted to work with Gary again because he’s a great drummer. That was it. Then Mark Gemini Thwaite, I’ve known Mark again, for about the same time, about ’95 – ‘96, when I was living in London. Just on the scene and going out in Camden in London. Mark was always around and I think that he was in The Mission at that time, and I knew those guys and just got to know Mark through that. So again, Mark’s living in LA. He’s played in a couple of things that I’ve done, and it’s as simple as that, you know? Mates. These set dates are you promoting primarily the two solo albums? Most of the set’s going to be from those releases, or will you be mixing it up a little from your musical back catalogue? The majority of set is from the two solo albums, but there’s an Almighty song in there, there’s a Black Star Riders song, and there’s a cover version in there as well. The solo albums have been surprisingly successful, or maybe not so surprisingly? I don’t know, I mean it’s been really nice. I knew that we’d made good records and I believe in them very strongly. I think that obviously the success of Black Star Riders is obviously a familiar thing, obviously helped get the word out to the people. The albums have been really well received, that’s been lovely, it’s actually great. Since that, you have released the Stairwell Troubadour thing – another solo album of cover versions and again through Pledge Music. Is it just going to be kept exclusively just for that format or will that also receive a general release? There’s been no thoughts of that. I’d like to just keep it as that, and maybe somewhere down the line, produce some of those as bonus tracks or something, you know? Thin Lizzy, you have already briefly touched on that. You’ll be doing a few festivals and stuff, what sort of prompted the reactivation of the band? Many thought with the creation of Black Star Riders that signaled an end to Thin Lizzy? No, it really came from Scott. It’s really Scott’s thing, and Scott sort of said “Look, it’s the 40th anniversary of Jailbreak, 30th anniversary of Phil passing, I would like to do something. Black Star Riders are taking a year off; can we do something?” I couldn’t really turn that down. Do you know what I mean? Scott’s my friend and I love him dearly, and obviously it’s a great honour just to sing those songs. We just decided that, you know, we’d keep it to 5 or 6 shows. Is that going to be similar to your previous sets with Thin Lizzy, or because of the anniversary are you going to bring out a few golden nuggets and maybe unearth some gems that the band has not played in recent years? I don’t know, I think, I haven’t really thought about it. We start to discuss the set next week, again I’ll leave it to Scott, see what he wants to do. No Brian Downey on the drum stool on these dates? I understand that he is not going to be part of those anniversary dates I read. It appears to be a health related situation that he cannot play on them? 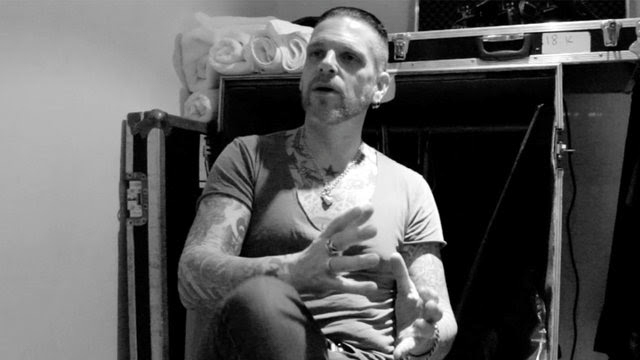 He sort of said one of the main reasons, when we became Black Star Riders, that Brian just didn’t really want to do the tours, even though this isn’t a tour, he just decided that he enjoyed the three years we had, and that was it, you know? On this tour as well, again supporting one of your former childhood musical heroes, what was your first memory of Stiff Little Fingers? Was it an album? It was an album, it was Inflammable Material from my older sister as a birthday present, and just hearing that and hearing nothing like it. I did obviously realize that they’re from Belfast and this made it even more special. Then going to see them, it was the first real gig I went to. Okay, you’ve toured with Thin Lizzy, toured with Stiff Little Fingers, met Lemmy and did some stuff with him. Have you any boxes still left to tick? Any musical heroes that you have not yet met? I’ve been very lucky; I have no complaints. I’d love to meet Springsteen; It would be great to write a song with Springsteen or get on stage, I mean he’s one of my heroes. Unfortunately, I’d love to have done something with Joe Strummer, he’s no longer with us; Johnny Cash, would have been great. I’m in a good place, there’s nothing in that regard, where I’m sort of going “I really need to work with that guy” or whatever. I’m just happy to still be doing what I’m doing, you know? You have a very strong work ethic; you always seem to be constantly playing live. Is it difficult for a musician in the current musical climate to make a decent standard of living? Obviously you don’t have the major financial input of a major record label behind you. You have to work hard, you know, because you don’t have that anymore, you don’t have the back-up from the record company that you had back in the day. Where they throw some support money at you or anything else, I think, so you’ve got to generate that. Plus, I just love to play. I’m blessed being able to do what I do and still be able to do it at 50 years of age. It’s just, I’ve always had a good work ethic that was instilled in me as a kid. There’s a lot of ideas, there’s a lot of inspiration at the moment, so I’m just trying to tap into that when it’s there. What’s happening for you then after you finish your set tonight (last gig of the tour)? Do you get any time off? I got a week off, I got a week on, fly home tomorrow, I leave next Sunday for Dortmund, hook up with Scott Gorham to do a thing called Rock Meets Classic. Hopefully, we’ll work that out, so we’ll do that in Germany, that’s for a month. Finish that, then I’ll have 10 days off and I’ll hook up with Damon Johnson to do a month of acoustic bits with him in Europe. Then we’re into the Lizzy sort of festival thing, and then we start recording a Black Star Riders album in August. This will be the last date then you’ll be playing the solo stuff for quite some time? We’re planning to go back out with Fighting Hearts in November. Right, does that include UK dates? Yeah, UK and Europe. So we’re planning on doing a wee run, about maybe 3 or 4 weeks, after that, next year it’s all a bit Black Star Riders that’s going on. Final question then, who would you like to interview? I always throw that one at the end. That’s a good question. You know I wouldn’t mind sitting down and interviewing Jake (Jake Burns – Stiff Little Fingers). Actually, I have never done it, it would be good. I’ll throw another at you. Have you any hobbies or spare time interests outside music? Football, obviously I follow Glentoran (Irish League team). I know it’s more a curse than a hobby. My kids; Anytime I am not on the road I like to spend time with my kids. I am actually very boring when I’m not doing my music. It’s very hard, Mark. My kids have never known anything else. The good thing that I like about it is when you are home, you are home so you are with them all the time. It’s not like you are doing an 8-5 job, and you come home and you are knackered. You can put them to bed and that is it. I can hang out with them all day. I have a very understanding missus! Great to catch up with you again, Ricky. Have a good show tonight and see you soon. No worries, Mark. Thank you and enjoy the show!